I am incredibly grateful for the friendships God has placed in my life! One of my friends Liz, has a very giving heart! I LOVE wreaths! I do not feel very creative in the wreath making department! I am also constantly searching for the perfect wreath for my front door! I have a storm door and my door is black. Any wreath I use needs to be flat enough to fit between the doors. The wreaths also can NOT have hot glue on them or that will melt and the wreath falls apart! Trust me, it HAS happened! 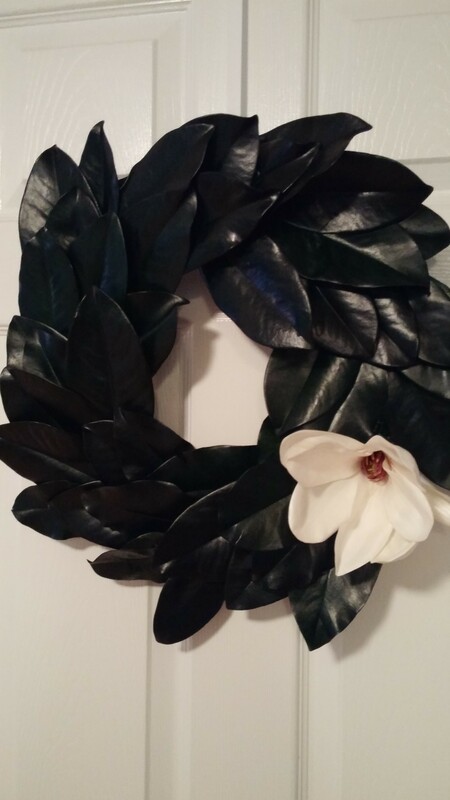 I was sharing my “wreath journey” with Liz and showing her this beautiful Magnolia wreath I have been wanting to purchase. Liz is very good at decorating and creating beautiful things, she told me I could make this wreath! I was not as confident as Liz was! Being the generous soul that she is, she found beautiful preserved magnolia leaves and found the flatter wire frames. I went to her beautiful home and she helped me create this beauty and she made a beautiful one for her home as well! It truly was easy once I got the hang of using the wire. I found the beautiful flowers at the very special Botanica and I like the touch it adds the wreath! I also found a beautiful Hydrangea wreath that I wanted to purchase. Having my new found confidence, I thought I could make it. I kept the picture of the one for purchase in my phone knowing I would never find pretty faux Hydrangeas! I ran in the craft store, Michael’s for a quick trip to pick something else up and they were having a sale. All there Fall floral stems were 60 percent off! I searched for the perfect colors and purchased that wire frame and came home very excited to try this on my own! I was very pleased at the outcome! Looks very similar to the one I was going to purchase! 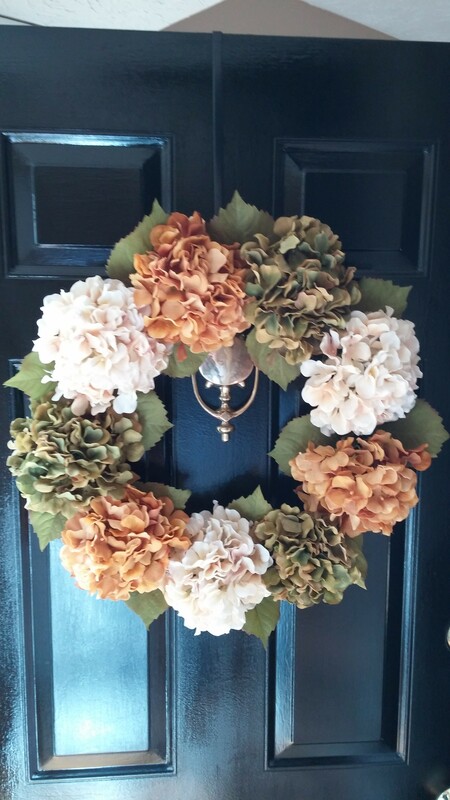 I also found red Hydrangeas and will swap out the burnt gold ones for red and keep my wreath up for Christmas too! I think for me, the wire frame works great! It takes a little time to wire everything but the results are well worth it! Most of the time, if we just had a little more confidence in our abilities and in our selves, IMAGINE all the things we could accomplish!